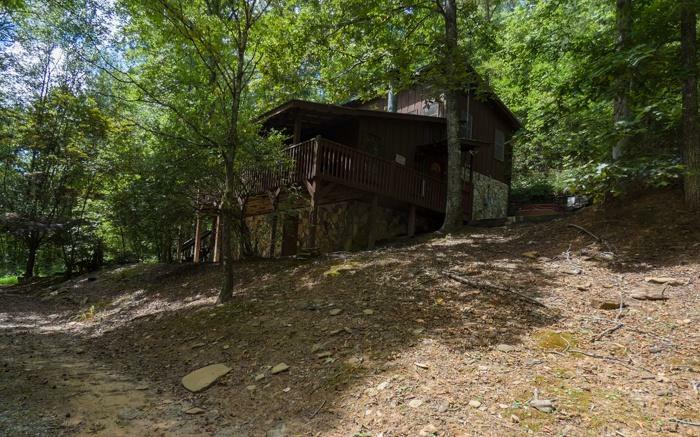 *A Creek Runs Through It* Hard to find 7.97 acres with +/- 1,360 ft of Tails Creek frontage! 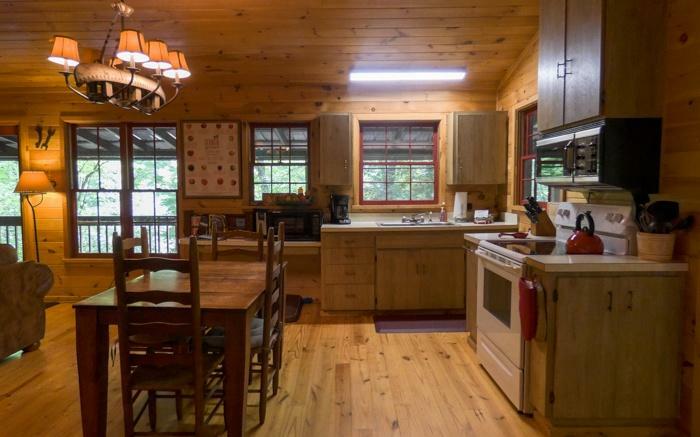 This 2/2 cabin overlooking beautiful Tails Creek, a state-designated trout stream, & is in a well established rental program great for anyone wanting a getaway that will pay! Open floor plan on main floor has a cozy gas log rock fireplace and cute country kitchen, full bath and beautifully finished bonus/billiard room. Upstairs has two bedrooms, both overlooking the spacious yard and wide creek, and a shared bathroom with newly updated tile shower! The unfinished partial basement is great for additional storage. 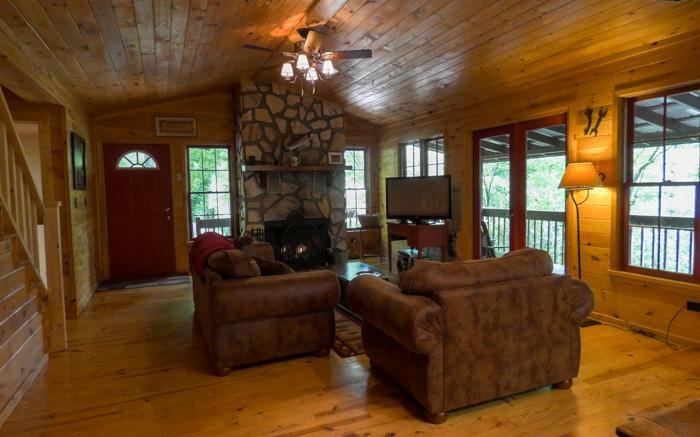 The oversized wrap around porch is perfect for relaxing to the sounds of the water & entertaining friends while enjoying the seasons of North Georgia! 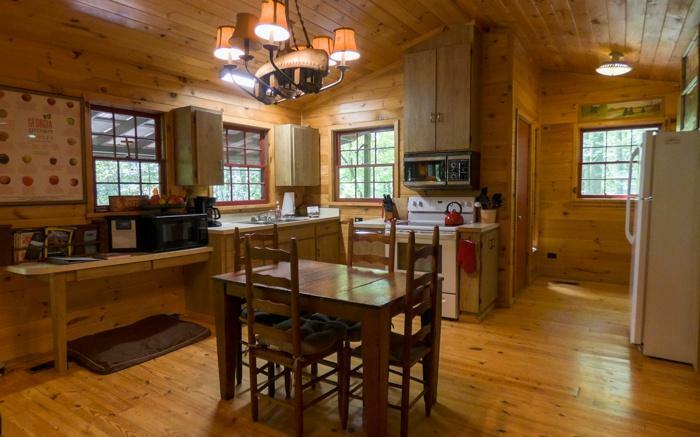 Located just off the highway and only 5 miles from Carters Lake recreation areas!! Enjoy hiking, biking, boating, fishing and all of the activities an outdoor enthusiast could desire! Listing provided courtesy of Woodland Realty.